After Cagiva took over Ducati they evolved the Ducati E900 and called it Elefant. This model was in a class of it´s own for several years in the great off-road runs. 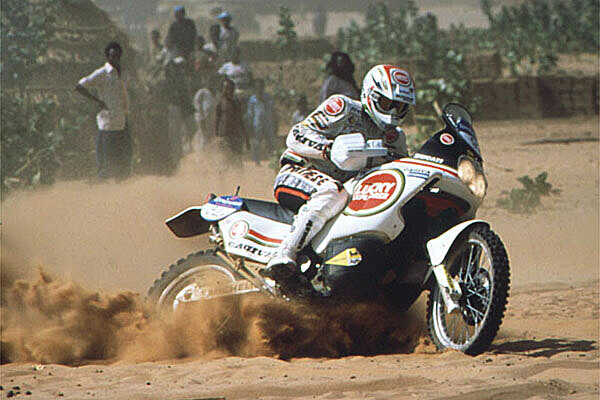 It ended with victory in Paris-Dakar rally in 1989 with Edi Oridi in the seat, he did it again in 1994. I 1996 Cagiva endedas number seven with Oscar Gallardo as driver. In both 1997 and 1998 Gallardo ended second. Of other rallyes must be mentioned 1. place both in 1987 and 1989 in "Rally des pharaons" and "Rally de Tunisie", both with Circo De Petri as driver. After this it´s Edi Oriolis turn to win "Rally des pharaons" in 1993, in 1989 heended second. 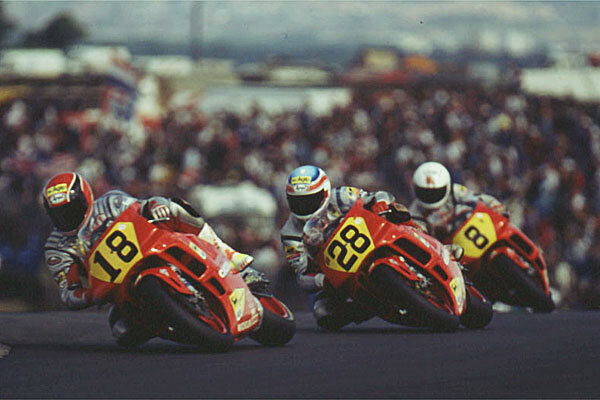 In 1992 Cagiva took it´s first victory in Hungary and Lawson ended the seson on 9th place again with Barros as number13. To the 1993 seson the drivers changed, now Doug Chandler ended as10th with Kocinski right after and M. Ladin as number 13. The last year Cagiva participate meening 1994 Kocinski gets a podium finish. WM for constructors ended with 4. place in 1991-1994. 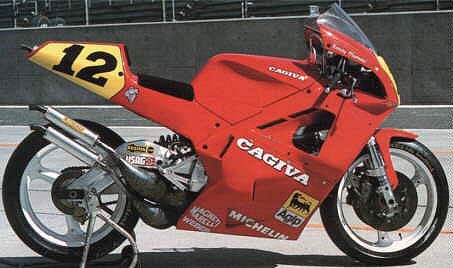 The only material I manage to find concerningWM for 125 cubic is that in 1988 Pier Paolo Bianchi drove a 4. place home for Cagiva. A long row of todays topdrivers has bin driven Cagiva at a point in there career. In relation to WM as the youngest driver in the500 cubic class Alex Barros beside him Doug Chandler, Eddie Lawson and John Kocinski has all driven Cagiva. Valentino Rossi started on a Cagiva 125 at the age of14, he drove in the italian "sports production championship" in 1993, this he won in 1994 - and then he was head hunted by Aprilia. In moto cross WM the finnish rider Pekka Vehkonen has won the 125 class in 1985 and he ended as 2nd in the 250 class in 1987, ´88 og´89. 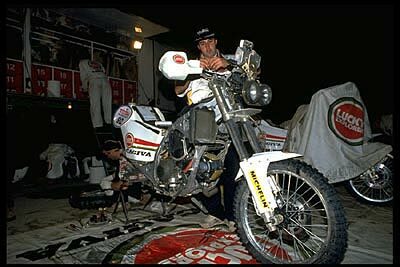 The duchmann Dave Stijbos won the 125 class in 1986.